One of the quintessential experiences of traveling within the United States is to partake in an iconic road trip. Driving the Pacific Coast Highway (PCH) is one of the most picturesque drives in the world and in this itinerary we focus on the stretch between Los Angeles and San Francisco. It is a drive for the "unplugged" as you will see first-hand why the territory of "Alta California" was once the crown jewel of New Spain and why California has always remained a muse for dreamers, naturalists, and artists in American lore. 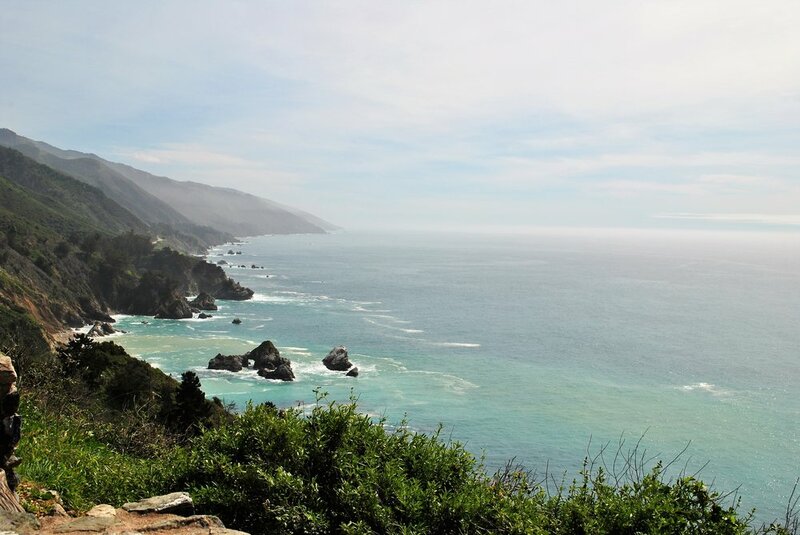 The drive cuts through the heart of Big Sur which is along a gorgeous coastline replete with lookout points, waterfalls, hiking, and enginnering marvels. Shouldering Big Sur to the north and south are romantic coastal towns, wine countries, and Santa Barbara which is worth its own visit. To get you dreaming of your very own trip to California, here is the theme song for California Dreams. The show was definitely the off-brand 90's high school sitcom in relation to Saved by the Bell (kind of like the off-brand Kardashian: Rob), but the theme song is apropos to this itinerary. When to go: The PCH is a year-round destination. Although the general rule of thumb is that that the winter and early spring tend to have a higher chance of rain along Coastal California, we went in early March and were fortunate to have clear skies with minimal fog. If you dream of renting a convertible for the PCH, it is a summer must-go. Bear in mind also that California is full of microclimates so weather conditions are in constant flux based on where you are driving and within a given day as you are covering significant ground in latitude between LA and SF. Moreover, if you could time the drive for mid-week it maybe best to avoid more locals and tourists especially in the one-lane portion along Big Sur. Plan, Plan, Plan: While the majority of the PCH has good phone service, along the Big Sur region cell phone reception is spotty at best. Make sure to download offline versions of maps for navigation are essential as is flagging points of interest beforehand with mile markers or landmarks. You will not be able to depend on real-time GPS here. We flew into Los Angeles on a Saturday, rented a car and drove north, and flew out of San Francisco on the following Friday. This itinerary focuses more on spots between LA and SF, but we will make some recommendations where appropriate in LA and SF. Of course, there were multiple overnight stops along the way and we will go into details below. Doing this in a leisurely pace allow you to explore things in a more deliberate way and get off the beaten path. We will also list a few favorite dining/hotel recommendations as well. TIP: leaving Santa Barbara, you will be heading north / northwest. We would avoid US Highway 1 (PCH) between Santa Barbara and Cambria because there isn't as much to see on this part and there are a lot of military installations on the coast here. Instead, you can get to Cambria faster by driving west on Highway 154 to Los Olivos and switching to Highway 101 north to San Luis Obispo. TIP: At this point from San Luis Obispo, you have two options. 1.) you can check out 1 or 2 vineyards in the nearby Paso Robles area (another award winning wine area) before going to Cambria 2.) or you can switch to Highway 1 and go to Morro Bay before heading to Cambria. We chose to do Paso Robles, which is considered one of the most important wine regions in California outside of Napa/Sonoma Valley. There are a bunch of wineries that you can research based on there areas of specialty. We chose to do two and also take it easy as we did the Urban Wine Trail in Santa Barbara the day before. Once you are in Cambria, you can take Highway 1 through the Big Sur Region. There are many stops/pullouts throughout the Big Sur Region, but here are some recommended highlights that we did. 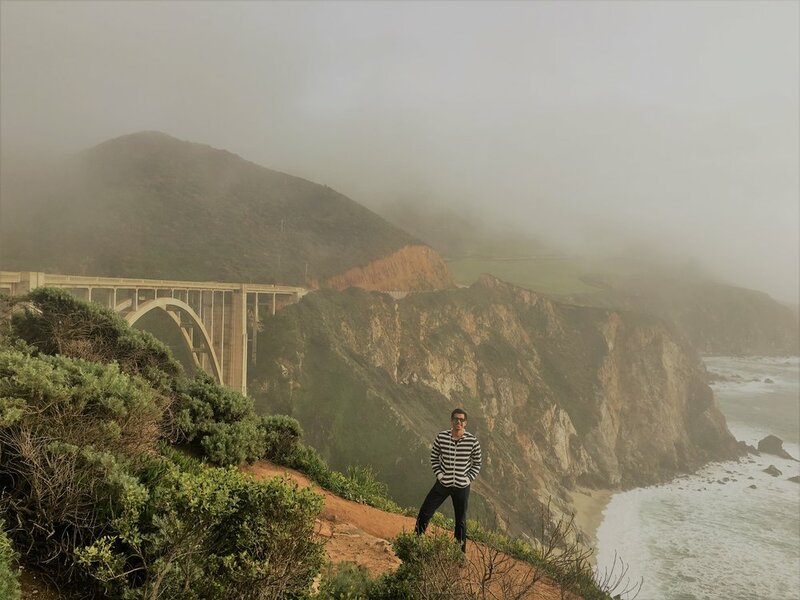 You could just drive straight from Cambria to SF, but our philosophy has always been to stop and linger and soak it all in so we chose to take our time in various spots in Big Sur and spent the night in Monterey. around the Elephant Seal Rookery, there is the Hearst Castle in San Simeon with Zebras and animals from the old Hearst estate. We snapped a few pics with the Zebras along the highway but we didn't actually do the Castle tour as we wanted our time to be focused on the outdoor stuff. TIP: While the majority of the PCH has good phone service, along the Big Sur region cell phone reception is spotty at best. Make sure to download offline versions of maps for navigation are essential as is flagging points of interest beforehand with mile markers or landmarks. You will not be able to depend on real-time GPS here. We don't have any specific Monterey recommendations as we used it more as a rest-stop after a long day at Big Sur. And although this is more of a PCH itinerary, we do have some recommendations of places we really enjoyed in SF.